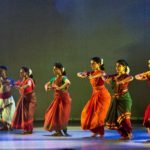 The Attakkalari Centre for Movement Arts is set to roll out the eighth edition of the Attakkalari India Biennial (AIB) from 03 to 12 February, 2017 in Bengaluru. Considered South Asia’s largest international contemporary dance and movement arts festival, the AIB 2017 will be held at five venues across the city —Ranga Shankara, Chowdiah Memorial Hall, Gurunanak Bhavan, Alliance Française de Bangalore, and Christ University. The theme of this edition is BLR MOVES and the festival will feature a host of performers and delegates from across the globe, encouraging the dance-enthusiastic public of the city, and the country, to join the celebration. FACETS has been conceived as an experimental residency space that facilitates possibilities for connecting art practices and exchanging ideas, skills, fresh perspectives, experiences and feedback to create new works. 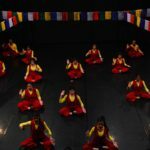 The residency involving these seven emerging choreographers from South Asia and beyond, selected through an open call as well as by partner organisations, focuses on inter-disciplinary approaches to creating performance works. Choreographers are mentored by an experienced, internationally acclaimed panel of artists and specialists in order to develop effective plans to concretise their concepts. This team of experienced facilitators/collaborators includes choreographers, a theatre director/dramaturg, sound artists/composers, and light designers. The residency takes place from 02 January to 02 February 2017 and provides a nurturing environment with studio space, and technical, financial and administrative support. The resulting seven works premiere at the Attakkalari India Biennial 2017 on 04 and 05 February, 2017 on a shared bill. Platform 17 — Emerging South Asia’ has been conceptualised as a forum to present sections or complete works by South Asian choreographers/movement artists to an international audience. The programme is an opportunity for these dance artists from the South Asia region to connect with international festival directors, curators, artists, technicians, academics, pedagogues, audiences and the media to catalyse and enable the creation and presentation of new, choreographic works of quality. These works will be showcased at the Attakkalari India Biennial 2017 as a shared evening during the Biennial on 05 and 06 February. There will be an opportunity to engage with the choreographers and dancers after their presentations in order to generate discussions and feedback on the works. 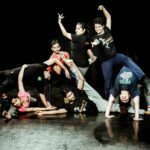 The Writing on Dance Laboratory is an integral part of the Attakkalari India Biennial 2017. An intensive, collaborative workshop, the 10-day Lab brings together arts writers of diverse backgrounds to discuss, critique, and imagine new possibilities for dance writing in South Asia. Eight participants from across South Asia attend festival performances and talks by specially invited experts from various disciplines to understand process, probe concepts and meaning, and contextualise performances. Participants also get the chance to speak with different performers from the Centre-Stage performances, FACETS, and Platform 17. These conversations form the starting points for participants to write their responses to festival happenings. The writings are posted on Ligament, Attakkalari’s online magazine. A new addition to the festival, Platform Plus presents Indian artists who have carved a niche with their work and have emerged as important players in the field of contemporary movement arts. At Platform Plus, Mandeep Raikhy presents his new creation Queen-size, a choreographic response to section 377 of Indian Penal Code and Preethi Athreya presents Conditions of Carriage —The Jumping Project, an attempt to react to the contemporary times through physical actions of jumping, walking, standing, and sitting. Off-Stage Interventions, a novel attraction during the festival, engages and invigorates audiences in new, experimental spaces and ways. The programme includes three performances of One One One by Cie Ioannis Mandafounis (Switzerland) at venues across Bengaluru with an aim to discover and dwell on relationships with the public. 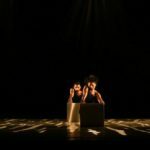 This segment also includes a special project called Four Seeds, a journey through personal stories and historical moments of Bengaluru, developed with German choreographer Fabien Prioville, Goethe–Institut/Max Mueller Bhavan’s bangaloREsident at Attakkalari. The Biennial also sees masterclasses and conferences. 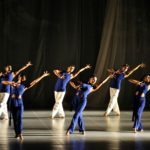 The visiting dance companies offer masterclasses for amateurs and professionals, inviting the Indian dance community into their techniques and histories of movement. Conferences at the Attakkalari India Biennial address pressing issues and explore new modes of creation, linking concepts, theory, and the practice of movement arts and allied disciplines. Some of the best contemporary dance performances of the recent times from across the world are featured in the Centre-Stage performances every evening during the 10 days of the Biennial. In this festival, Attakkalari features some of the most revered choreographers from diverse cultural contexts. 03 FEB: Opening night features a double bill: Popular Korean dance companies Gamblerz & Animation and Second Nature Dance Company begin the festival with their vibrant creations. Gamblerz & Animation present a high-energy performance connecting the concept of light to the traditional notion of harmony in 5 Colors. With R U ready?, Second Nature Dance Company asks fundamental questions about the self through the vocabulary of contemporary dance. 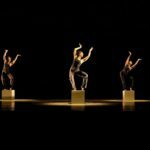 04 FEB: Vuyani Dance Theatre (South Africa) presents Ketima, an inventive choreography by Gregory Maqoma, which artfully traces the phases of human development through the journey of a young man. 05 FEB: Rachid Ouramdane’s (France) TORDRE (WROUGHT) brings us a raw, captivating duet by Anna Hanauer and Lora Juodkaite, who paint self-portraits with their bodies using repetitive movements. 06 FEB: World Premiere of Attakkalari Repertory Company’s (India) newest choreography, Bhinna Vinyasa, in which Jayachandran Palazhy explores metaphysical journeys prompted by internal and external forces. 07 FEB: In GN | MC (Spain), the choreographer duo present their quintet Time Takes The Time Time Takes, an intellectual exercise examining time as a continuum. 08 FEB: In Fabbrica Europa’s (Italy) Liquido, an extravaganza of music and movement when dancer Luisa Cortesi and musician Gianluca Petrella meet on stage to create magic informed by each other. Zawirowania Dance Theatre (Poland) present Closeness, which explores relationships informed by our perceptions of each other, is born out of the collaborative efforts of the members of the company with Tomáš Nepšinský. 09 FEB: fabien prioville dance company’s (Germany) La Suite pays homage to Pina Bausch. The characters based on Bausch’s Café Mueller tell their own story through choreography reminiscent of the past, while remaining in the present. 10 FEB: Arno Schuitemaker (The Netherlands) brings WHILE WE STRIVE, a high- energy trio that taps into the energy of sensorial movements as well as the arousal and effect that the dancers are capable of simulating on stage. Ima Iduozee and Tero Saarinen Company (Finland) together present a rich evening of three performances in a triple bill. Ima Iduozee’s This is the Title is his exciting debut solo that questions the relations and tensions between individual choices and society’s pre-set norms. Tero Saarinen Company present Westward Ho!, a critically acclaimed landmark choreography by Tero Saarinen, and Man in a Room, an exploration of the creative anxiety of an artist, based on life of painter Mark Rothko. 11 FEB: Legendary Canadian choreographer and Venice Biennale’s current Director of Dance Marie Chouinard presents two of her globally revered works, The Rite of Spring and 24 Preludes by Chopin. The creations dwell strongly on the musicality of their sound scores and are drawn from the choreographer’s exact reactions to the inspirations for her vision. 12 FEB: Cie Nicole Seiler (Switzerland) concludes the Biennial with ISSHH(क), a deeply interesting work created out of questions of a ‘common body’ for the performing ensemble that also marries stage and cinema. 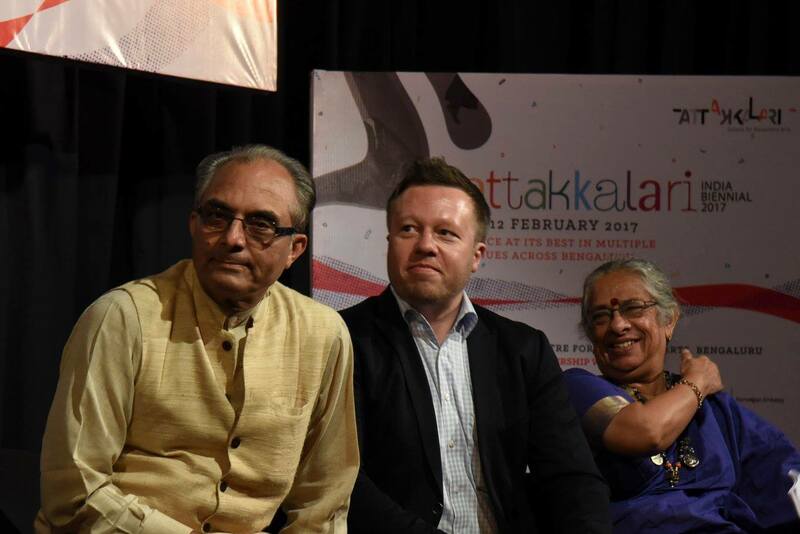 Attakkalari was constituted in 1992 to facilitate the development of contemporary cultural expressions in India, particularly in the performing arts, and is today recognised internationally as an important educational institution and cultural organisation in South Asia. 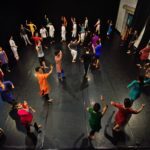 Committed to inter-disciplinary and inter-cultural art practices, Attakkalari provides dynamic leadership and makes strategic interventions to stimulate the growth of a vibrant contemporary performing arts scene in Bengaluru and in India as a whole. 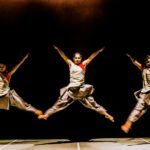 Since its inception in 2001, Attakkalari has made signifiant contributions to developing the performing arts scene in India, particularly in the realm of physical performance, stage technologies, choreography, and pedagogy. Driven by the underlying philosophy “Traditional Physical Wisdom, Innovation & Technology” Attakkalari has initiated several strategic and interlinked programmes, which have made a bold impact and are now inspiring and being emulated by artists and organisations working in contemporary dance and performance throughout India.